An… “exploding active volcano”, offered us Feta with the Queen in Santorini Arts Factory, the charming place of the arts, in the Industrial Tomato Museum in Vlychada. What happened? 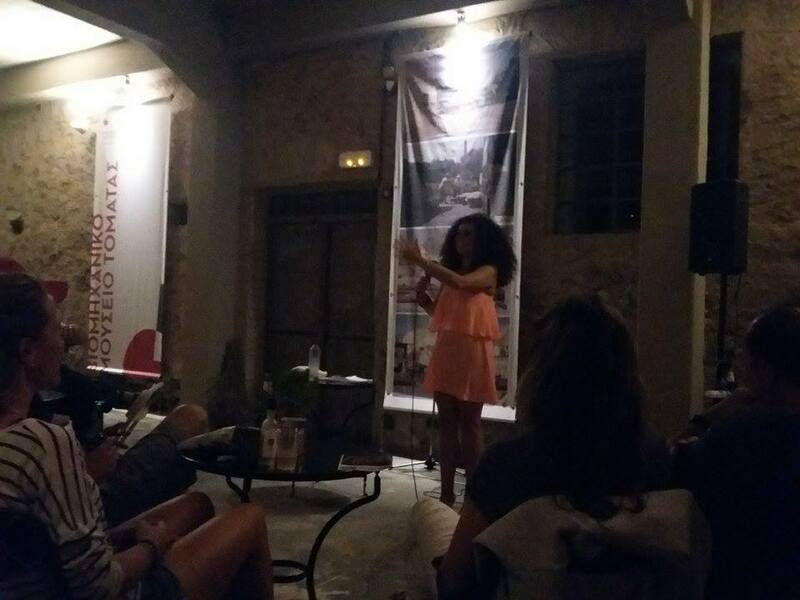 It was the one and only Katerina Vrana who compared, explores and shared with us – the lucky ones” her experiences as a Greek woman who lives in the UK in a more than one hour stand-up comedy performance! Yesterday, the English speaking version was energetic, hilarious and “awfully, terribly funny”! Thanks Katerina, “U speak the England very best”. By our Santofriend Penny A.